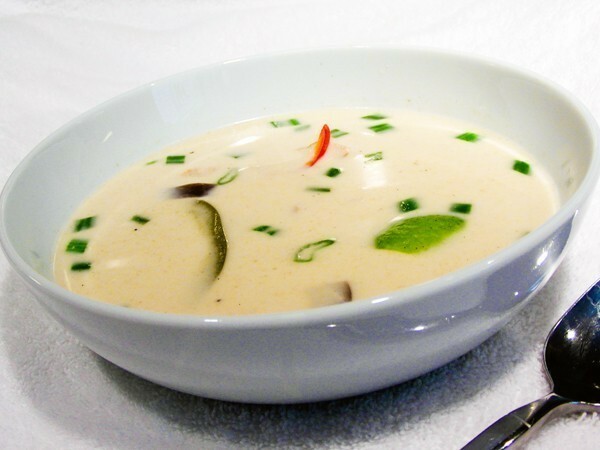 With the sweet, sour, spicy and salty flavors that are traditional to Thai cuisine, tom ka gai soup is a party on your palate. It's a dish that I've been wanting to hack for years, but could not find a famous chain with a popular version. That is until recently, when Trader Vic's landed in Las Vegas at the Planet Hollywood Hotel and Casino. This upscale, worldwide Polynesian-themed chain adds eggplant to this soup where you would traditionally find straw mushrooms, and thinly julienned peppers where Thai chili peppers would usually be. Other than that the soup has the same traditional flavors of some of the best tom ka gai soups I have eagerly slurped up. For this clone you'll need to track down a couple stalks of lemongrass—a whole stalk is about a foot long. Cut each in half and get medieval on it with a kitchen mallet so the flavors are released into the soup as it cooks. Before serving the soup you may want to fish out the lemongrass and the chunks of ginger, or you may be brushing up on your Heimlich maneuver. Source: Top Secret Restaurant Recipes 3 by Todd Wilbur. 1. Preheat barbecue grill to high heat. 2. Bring the chicken broth, coconut milk, eggplant, lemongrass (pound it with a kitchen mallet to release the flavors), lime juice, fish sauce, ginger, garlic, red curry paste, and coriander to a boil in a large soup pot over medium heat. Reduce the heat and simmer for 20 minutes. 3. As the soup simmers, pound the chicken breast fillets flat with a kitchen mallet, rub each with oil, and grill for 4 to 5 minutes per side on the hot grill. The chicken doesn't need to be entirely cooked, since it will cook more in the soup. When chicken is done, let it cool, then diced it. 4. When the soup has simmered for 20 minutes, add the chicken and peppers. Be sure the peppers are julienned very thin. Continue to simmer soup for 10 minutes, and then add the green onions. To prepare soup for serving, spoon approximately 1 1/2 cups of soup into a bowl, squeeze a lime wedge into the soup, drop the lime into the bowl and serve it up. Tidbits: Find fish sauce and red curry paste where Asian or Thai foods are stocked in your market. Be the first to get Todd's latest hacked recipes, sent to your inbox every week. Just enter your email. This is unbelievably delicious!! Never had the original, but we used straw mushrooms instead of eggplant and my husband and I loved this recipe. Found out from the asian market that we can freeze the leftover, unused lemon grass to use to make a second batch of soup. For two years after the first Olive Garden restaurant opened in 1982, operators were still tweaking the restaurant's physical appearance and the food that was served. Even the tomato sauce was changed as many as 25 times. It's that sort of dedication that creates fabulous dishes like this popular soup. It blends the flavors of potatoes, kale, and Italian sausage in a slightly spicy chicken and cream broth. Source: Top Secret Restaurant Recipes by Todd Wilbur. Menu Description: "Tender, crispy wild gulf shrimp tossed in a creamy, spicy sauce." Bonefish Grill proudly refers to this appetizer as the "house specialty." And why not, it's an attractive dish with bang-up flavor, especially if you like your food on the spicy side. 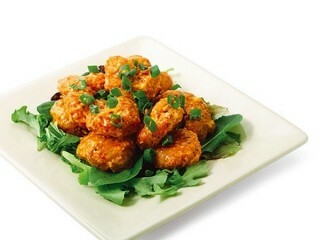 The heat in this Bang Bang Shrimp recipe comes from the secret sauce blend that's flavored with chili garlic sauce, also known as sambal. You can find this bright red sauce where the Asian foods in your market—and while you're there, pick up some rice vinegar. Once the sauce is made, you coat the shrimp in a simple seasoned breading, fry them to a nice golden brown, toss them gently in the sauce, and then serve them up on a bed of mixed greens to hungry folks who, hopefully, have a cool drink nearby to mellow the sting. 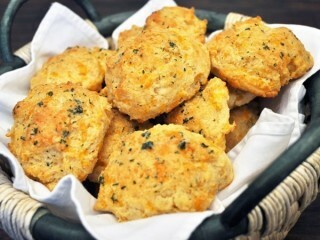 Order an entree from America's largest seafood restaurant chain and you'll get a basket of some of the planet's tastiest garlic-cheese biscuits served up on the side. For many years this recipe has been the most-searched-for clone recipe on the Internet, according to Red Lobster. As a result, several versions are floating around, including one that was at one time printed right on the box of Bisquick baking mix. The problem with making biscuits using Bisquick is that if you follow the directions from the box you don't end up with a very fluffy or flakey finished product, since most of the fat in the recipe comes from the shortening that's included in the mix. On its own, room temperature shortening does a poor job creating the light, airy texture you want from good biscuits, and it contributes little in the way of flavor. So, we'll invite some cold butter along on the trip -- with grated Cheddar cheese and a little garlic powder. Now you'll be well on your way to delicious Cheddar Bay. Wherever that is. The little red packets of viscous hot sauce at the fast food giant have a cult following of rabid fans who will do whatever it takes to get their hands on large quantities. One such fan of the sauce commented online, "Are there any Wendy's employees or managers out there that will mail me an entire case of Hot Chili Seasoning? I swear this is not a joke. I love the stuff. I tip extra cash to Wendy's workers to get big handfuls of the stuff." Well, there's no need to tip any Wendy's employees since now you can make as much as you want of the spicy sauce in your own kitchen. The ingredients listed on the real Hot Chili Seasoning are water, corn syrup, salt, distilled vinegar, natural flavors, xanthan gum, and extractives of paprika. We'll use many of those same ingredients for our clone, but we'll substitute gelatin for the xanthan gum (a thickener) to get the slightly gooey consistency right, and for the natural flavor and color we'll use cayenne pepper, cumin, paprika and garlic powder, then filter the particles out with a fine wire mesh strainer after they've contributed just what the sauce needs. This recipe makes 5 ounces of sauce—that costs just pennies to make—and it's just the right amount to fit nicely into a used hot sauce shaker bottle. 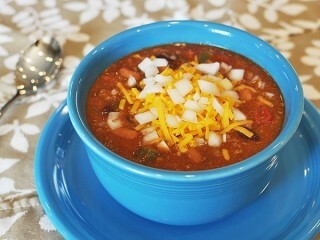 This soup happens to be one of Chili's most raved-about items, and the subject of many a recipe search here on the site. Part of the secret in crafting your clone is the addition of masa harina—a corn flour that you'll find in your supermarket near the other flours, or where all the Mexican foodstuffs are stocked. Source: Top Secret Restaurant Recipes 2 by Todd Wilbur. 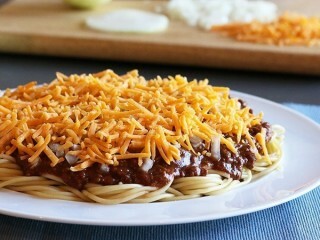 3-Way: Pour chili over cooked spaghetti noodles and top with grated Cheddar cheese. 4-Way: Add a couple teaspoons of grated onion before adding the cheese. 5-Way: Add cooked red beans over the onions before adding the cheese. Source: Top Secret Recipes Unlocked by Todd Wilbur. It took chefs several years to develop what would eventually become KFC's most clucked about new product launch in the chain's 57-year history. With between 70 to 180 calories and four to nine grams of fat, depending on the piece, the new un-fried chicken is being called "KFC's second secret recipe," and "a defining moment in our brand's storied history" in a company press release. The secret recipe for the new grilled chicken is now stored on an encrypted computer flash drive next to the Colonel's handwritten original fried chicken recipe in an electronic safe at KFC company headquarters. Oprah Winfrey featured the chicken on her talk show and gave away so many coupons for free grilled chicken meals that some customers waited in lines for over an hour and half, and several stores ran out and had to offer rain checks. Company spokesperson Laurie Schalow told the Associated Press that KFC has never seen such a huge response to any promotion. "It's unprecedented in our more than 50 years," she said. "It beats anything we've ever done." When I heard about all the commotion over this new secret recipe I immediately locked myself up in the underground lab with a 12-piece bucket of the new grilled chicken, plus a sample I obtained of the proprietary seasoning blend, and got right to work. After days of nibbling through what amounts to a small flock of hens, I'm happy to bring you this amazing cloned version of this fast food phenomenon so that you can now reproduce it in your own kitchen. Find the smallest chicken you can, since KFC uses young hens. Or better yet save some dough by finding a small whole chicken and cut it up yourself. The secret preparation process requires that you marinate (brine) your chicken for a couple hours in a salt and MSG solution. This will make the chicken moist all of the way through and give it great flavor. After the chicken has brined, it's brushed with liquid smoke-flavored oil that will not only make the seasoning stick to the chicken, but will also ensure that the chicken doesn't stick to the pan. 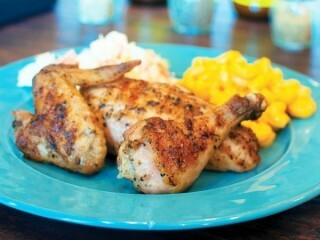 The liquid smoke in the oil gives the chicken a smoky flavor as if it had been cooked on an open flame barbecue grill. The grilled chicken at KFC is probably cooked on ribbed metal plates in specially designed convection ovens to get those grill marks. I duplicated that process using an oven-safe grill pan, searing the chicken first on the stovetop to add the grill marks, then cooking the chicken through in the oven. If you don't have a grill pan or a grill plate, you can just sear the chicken in any large oven safe saute pan. If you have a convection function on your oven you should definitely use it, but the recipe will still work in a standard oven with the temperature set just a little bit higher. After baking the chicken for 20 minutes on each side, you're ready to dive into your own 8-piece bucket of delicious indoor grilled chicken that's as tasty as the fried stuff, but without all the fat. Check out the video demonstration of this recipe. Menu Description: "Create your own Thai lettuce rolls! 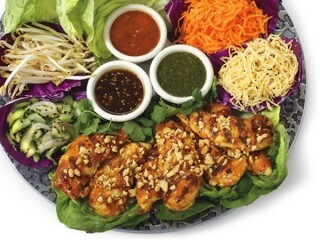 Satay chicken strips, carrots, bean sprouts, coconut curry noodles and lettuce leaves with three delicious spicy Thai sauces—peanut, sweet red chili and tamarind-cashew." Cheesecake Factory's #1 appetizer is finally fauxed, and I've got every secret component for an impressive knockoff here in one recipe: delicious duplicates of the three amazing dipping sauces, perfect sweet-and-sour cucumber slices, and an easy coconut curry marinade clone for the chicken that also doubles as a sauce for the noodles. Get ready to blow everyone away when you unveil this build-it-yourself Thai-inspired lettuce wrap kit at the table. The final dish will serve twice as many people as the restaurant version, and you'll most likely have enough leftover sauces to serve it again if you want to get more chicken. Menu Description: "Here they are in all their lip-smacking, award-winning glory: Buffalo, New York-style chicken wings spun in your favorite signature sauce." Since Buffalo, New York was too far away, Jim Disbrow and Scott Lowery satisfied their overwhelming craving in 1981 by opening a spicy chicken wing restaurant close to home in Kent, Ohio. With signature sauces and a festive atmosphere, the chain has now evolved from a college campus sports bar with wings to a family restaurant with over 300 units. While frying chicken wings is no real secret—simply drop them in hot shortening for about 10 minutes—the delicious spicy sauces make the wings special. There are 12 varieties of sauce available to coat your crispy chicken parts at the chain, and I'm presenting clones for the more traditional flavors. These sauces are very thick, almost like dressing or dip, so we'll use an emulsifying technique that will ensure a creamy final product where the oil won't separate from the other ingredients. Here is the chicken wing cooking and coating technique, followed by clones for the most popular sauces: Spicy Garlic, Medium and Hot. The sauce recipes might look the same at first, but each has slight variations make your sauce hotter or milder by adjusting the level of cayenne pepper. You can find Frank's pepper sauce by the other hot sauces in your market. If you can't find that brand, you can also use Crystal Louisiana hot sauce. Menu Description: "Lightly-dusted, stir fried in a sweet Szechwan sauce." The delicious sweet-and-spicy secret sauce is what makes this dish one of P. F. Chang's top picks. Once the sauce is finished all you have to do is saute your chicken and combine. You'll may want to cook up some white or brown rice, like at the restaurant. If you can't find straight chili sauce for this recipe, the more common chili sauce with garlic in it will work just as well. Panera Bread's Baked Spinach and Artichoke Egg Souffle reminds me of a breakfast Hot Pocket, if a Hot Pocket tasted really good. With eggs, cheese, spinach, and artichoke hearts baked into a buttery crust, this super-cool presentation will earn you big bonus points from your crew in the a.m. And the best part about this copycat Panera spinach souffle recipe is you won't stress out over making the dough from scratch since you use premade Pillsbury Crescent Dough that comes in a tube. Just be sure when you unroll the dough that you don't separate it into triangles. Instead, pinch the dough together along the diagonal perforations to make four squares. After the dough is rolled out, line four buttered ramekins with each square, fill each ramekin with the secret egg mixture, and bake. Menu Description: "Our famous Big Boy soups and chili are made fresh daily from fresh vegetables, pure cream and only the finest ingredients." In 1936, Bob Wian had to make the painful decision to sell his cherished 1933 DeSoto roadster to buy a ten-stool lunch counter from a pair of elderly ladies in Glendale, California. He named his new restaurant Bob's Pantry, and went to work behind the counter himself. Receipts form his first day totaled only twelve dollars. But with the creation of a new hamburger just the next year, and a name change to Bob's Big Boy, business took off. Within three years Bob had expanded his first store and built another location in Los Angeles. In 1948 Bob Wian was voted mayor of Glendale. 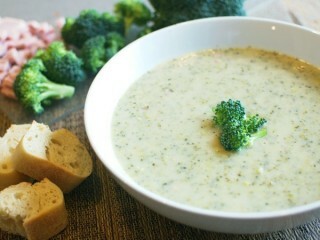 A cup of broccoli soup makes a great first course or a nice partner to a sandwich. I first designed this recipe using frozen broccoli, but the frozen stuff just isn't as tasty as a big bunch of firm, fresh broccoli. So go shopping, and get chopping. Served in a large bowl, this soup can be a small meal in itself, or it serves four as an appetizer. Try it with a pinch of shredded Cheddar cheese on top. 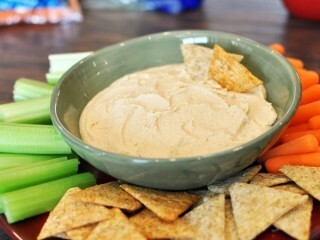 Every brand of hummus I've tried over the years has been just so-so in taste and texture, until I discovered Sabra. Now this ultra-smooth hummus—which has been rated number one in a blind taste test—is the only hummus in my fridge, unless I've made this clone. Hummus is an awesome snack as a dip for vegetables or pita chips, since it's rich in protein, soluble fiber, potassium, and Vitamin E. The secret to duplicating Sabra's smooth and creamy quality is to let your food processor work the stuff over for a solid 10 minutes. Also, don't use all of the liquid from the can of garbanzo beans or the hummus will end up too runny. Strain off the liquid first, then measure only 1/2 cup back into the food processor. Sabra uses canola and/or soybean oil, but you may think olive oil tastes better. Look for a jar of sesame tahini in the aisle where all the international foods are parked, and while you're there find the citric acid, which may also go by the name "sour salt." The clone below will not have the proper acidic bite without this secret ingredient, and citric acid also works as a preservative to help the leftover hummus stay fresh and tasty. 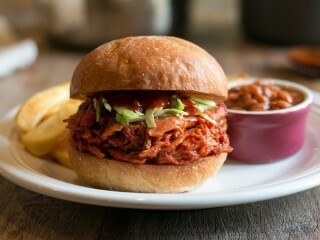 Menu Description: "Select pork, hickory-smoked then hand-pulled, so it's tender and juicy. 'An old Southern delicacy' with our famous vinegar-based bar-b-que sauce. Served with fries, ranch beans and homemade coleslaw." Take a big honkin' bite out of one of these and you'll soon know why it's the Hard Rock Cafe's most popular sandwich. The pork is hickory smoked for 10 hours, but since we're impatient hungry people here, we'll cut that cooking time down to under 4 hours using a covered grill and carefully arranged charcoal. Just sprinkle wet hickory chips over the hot charcoal arranged around the inside edge of a grill (such as a round Weber), and let the smoking begin. You can certainly use an actual smoker if you've got one, and go the full 10 hours. You should try to make your cabbage a day ahead of time so it has time to marinate. Menu Description: "Twisted cavatappi pasta, tossed in a lightly spiced 3-cheese sauce with roasted red peppers and topped with Parmesan parsley breadcrumbs." The rock-and-roll theme chain peps up old-school macaroni and cheese with roasted red bell pepper, a breadcrumb topping, and a delicious sauce made from three cheeses. For a home clone of this hip appetizer, I found that it's best to shred your own Cheddar and Monterey Jack cheeses, since the pre-shredded type sold in bags doesn't melt as well and you'll likely end up with grainy sauce. Grainy is not good for a sauce. You can use bottled roasted red bell pepper for convenience, or you can roast your own pepper with the tips provided in the Tidbits below. And don't worry about tracking down the hard-to-find cavatappi pasta twisted tubes. Any pasta shape will do here, including the ubiquitous mac & cheese standard: elbow macaroni. El Pollo Loco, or "The Crazy Chicken," has been growing like mad since it crossed over the border into the United States from Mexico. 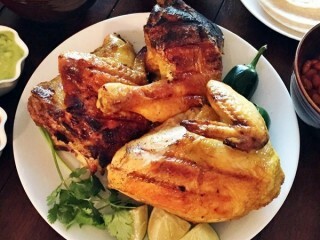 Francisco Ochoa unknowingly started a food phenomenon internacional in 1975 when he took a family recipe for chicken marinade and opened a small roadside restaurante in Gusave, Mexico. He soon had 90 stores in 20 cities throughout Mexico. The first El Pollo Loco in the United States opened in Los Angeles in December of 1980 and was an immediate success. It was only three years later that Ochoa got the attention of bigwigs at Dennys, Inc., who offered him $11.3 million for his U.S. operations. Ochoa took the deal, and El Pollo Loco grew from 17 to more than 200 outlets over the following decade. Source: More Top Secret Recipes by Todd Wilbur. In Zagat's 1995 New York City Restaurant Survey, Le Cirque 2000, one of the city's most upscale restaurants, received a 25 rating out of a possible 30. In the same guide, Al "The Soup Nazi" Yeganeh's Soup Kitchen International scored an impressive 27. That put the Soup Nazi's eatery in 14th place among the city's best restaurants for that year. It was common to see lines stretching around the corner and down the block as hungry patrons waited for their cup of one of five daily hot soup selections. Most of the selections changed every day, but of the three days that I was there, the Mexican Chicken Chili was always on the menu. The first two days it was sold out before I got to the front of the line. 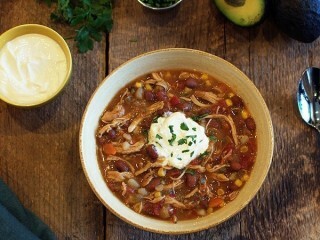 But on the last day I got lucky: "One extra-large Mexican Chicken Chili, please." Hand over money, move to the extreme left. Here is a hack for what has become one of the Soup Nazi's most popular culinary masterpieces. If you like, you can substitute turkey breast for the chicken to make turkey chili, which was the soup George Costanza ordered on the show. Update 1/9/17: Replace the 10 cups of water with 8 cups of chicken broth for a shorter simmer time and better flavor. I also like using El Pato tomato sauce (recipe calls for 1/2 cup) for a bit more heat. Menu Description: "Fresh salmon marinated in miso and baked. Served with a delicious miso sauce, snow peas and white rice." Presented beautifully on top of white rice and surrounded by sake butter sauce is a baked salmon fillet that tastes like candy. Miso is a salty fermented soy bean paste that combines well with sweet brown sugar and sake for a syrupy marinade that makes salmon taste so good that even salmon haters will devour it. Look for red miso in a refrigerator in your market. You can also find it in Asian markets and some health food stores. After cooking up your marinade, you should allow the salmon fillets to soak in it for up to six hours, so start this dish early in the day and plan to scarf out at dinnertime. The cool presentation starts by pressing cooked rice into a lightly greased 5-inch ramekin or small cake pan, and then turning it out onto the center of your serving plate. Add a moat of sake reduction sauce, a few steamed snow pea pods, and you will have re-created a dish that looks and tastes exactly like the number one fish dish at The Factory. 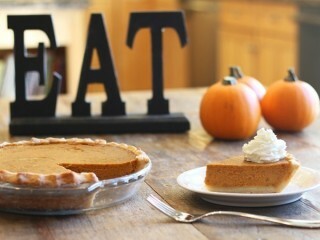 Menu Description: "Our famous pumpkin pie has just the right amount of spice." The vittles from Marie Callender's have made an impression beyond the chain's West Coast roots with home-style packaged entrees and side dishes available in frozen food sections of supermarkets across the country. Pie making is where the chain excels. A fresh slice of a Marie Callender's pie is as close as you'll get to homemade heaven this side of Grandma's porch window. This clone is an obvious selection, since the restaurant sells more pumpkin pies than any other, even in non-holiday months. This clone is a perfect opportunity to improve on icky pumpkin pie recipes (like those found on cans of canned pumpkin, for example) in many ways. For one thing, there's no need to use canned evaporated milk when fresh whole milk and cream is so much better. 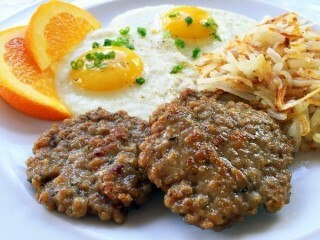 And three eggs, versus two found in many recipes, will add to the richness and firmness of the cooked filling. After mixing the filling we'll let it sit for a bit while waiting for the oven to preheat. This way it can come closer to room temperature, and the pie filling will bake more evenly. The clone recipe included here for the crust uses a chilled combination of butter and shortening for the perfect mix of flavor and flakiness. Update 10/12/17: I made a few changes to improve this recipe. I increased the pumpkin to 19 ounces (or 2 1/2 cups) to better fill the crust. Get a large can of pumpkin. Also, I took the egg yolk out of the crust for a flakier and more tender finished product. Also, because of the additional filling, I've increased the baking time by 10 minutes to 60 to 70 minutes. If you find your crust getting too dark on top, use a pie crust shield or mold some foil around the top of the crust to prevent it from over-browning. Elaine: "Do you need anything?" Kramer: "Oh, a hot bowl of Mulligatawny would hit the spot." Kramer: "Yeah, it's an Indian soup. Simmered to perfection by one of the great soup artisans in the modern era." Elaine: "Oh. Who, the Soup Nazi?" Kramer: "He's not a Nazi. He just happens to be a little eccentric. You know, most geniuses are." Kramer was right. Al Yeganeh—otherwise known as The Soup Nazi from the Seinfeld episode that aired in 1995—is a master at the soup kettle. His popular soup creations have inspired many inferior copycats in the Big Apple, including The Soup Nutsy, which was only ten blocks away from Al's original location on 55th Street. Yeganeh's mastery shows when he combines unusual ingredients to create unique and delicious flavors in his much-raved-about soups. In this one, you might be surprised to discover pistachios and cashews among the many vegetables. It's a combination that works. I took a trip to New York and tasted about a dozen of the Soup Nazi's original creations. 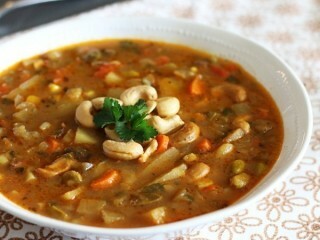 This one, the Indian Mulligatawny, was high on my list of favorites. After each daily trip to Soup Nazi headquarters (Soup Kitchen International), I immediately headed back to the hotel and poured samples of the soups into labeled, sealed containers, which were then chilled for the trip back home. Back in the lab, portions of the soup were rinsed through a sieve so that ingredients could be identified. I recreated four of Al's best-selling soups after that trip, including this one, which will need to simmer for 3 to 4 hours, or until the soup reduces. The soup will darken as the flavors intensify, the potatoes will begin to fall apart to thicken the soup, and the nuts will soften. If you follow these directions, you should end up with a clone that would fool even Cosmo Kramer himself. Update 2/6/18: The recipe can be improved by doubling the curry (to 2 teaspoons) and reducing the water by half (to 8 cups). Cook the soup for half the recommended time or until it's your desired thickness. The packet of Taco Bell spices you buy in grocery stores makes delicious spicy beef for tacos, but don't expect it to taste exactly the same as the beef at the giant Mexican food chain. For a better clone, use this recipe. Once the meat is prepped, it's simple to build soft tacos the Taco Bell way using these steps. 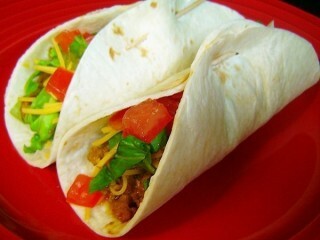 If you want crispy tacos, replace the soft flour tortillas with crunchy corn shells. Menu Description: "Introduced in our first restaurant in 1985. 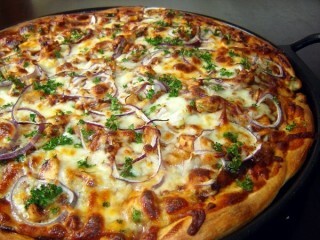 With barbecued chicken, sliced red onion, cilantro, and smoked Gouda cheese." In 1985, attorneys Larry Flax and Rick Rosenfield traded in their private practice, which included defending mob bosses and union officials, for a specialty pizza chain. These two "amateur chefs" say they were influenced by Wolfgang Puck, whose Spago restaurant in Los Angeles was the first to create pizza with unusual toppings. Now they have developed a niche somewhere between gourmet food and traditional Italian-style pizzas, creating what one magazine described as "designer pizza at off-the-rack prices." In addition to the pastas, soups, and salads, California Pizza Kitchen offers dozens of unique pizza creations that reflect the current trends in dining. When Cajun food was in style, the Cajun chicken pizza was a top seller; today that item has been replaced with Southwestern and Thai pizza varieties. As the menu explains, the Barbecued Chicken Pizza was one of the first pizzas served at California Pizza Kitchen. Decades later it remains one of the top-selling pizza creations. You can use this CPK BBQ chicken pizza recipe to make your pizza with pre-made or packaged dough, but I highly recomment taking the time to make the dough yourself. You'll find that it's well worth the little bit of extra work. Menu Description: "Our marinated chicken breast coated with Parmesan cheese and crunchy panko breadcrumbs, lightly pounded and pan fried to a golden brown. Served with white cheddar mashed potatoes and steamed broccoli and topped with a lemon Chardonnay butter sauce, sun-dried tomatoes, fresh basil and Parmesan cheese." This re-creation lays out a great way to prepare that 4-pack of chicken breasts you dropped into your shopping cart. While you're at the market, head down the aisle where the Asian foods are parked and pick up some Japanese breadcrumbs, also called "panko" breadcrumbs. Combining these coarse breadcrumbs with shredded Parmesan cheese makes a crispy breading for the chicken that doesn't even need a sauce to taste good. Still, the lemony Chardonnay butter sauce used at the restaurant is cloned here too, so you'll have the complete flavor experience. You'll want to plan ahead a bit for this dish since the chicken fillets will need to marinate in the brine solution for 2 to 3 hours. This dish goes great with the clone recipe for BJ's White Cheddar Mashed Potatoes. Menu Description: "Nearly world famous. Often imitated, hardly ever duplicated." "Hooters is to chicken wings what McDonald's is to hamburgers," claims promotional material from the company. 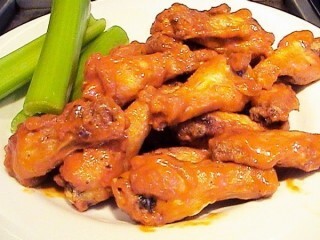 True, the six fun-loving Midwestern businessmen who started Hooters in Clearwater, Florida, on April Fool's Day in 1983 chose a classic recipe for chicken wings as their signature item. But while some might say it's the buffalo wings that are their favorite feature of the restaurant, others say it's the restaurant chain's trademark Hooters girls—waitresses casually attired in bright orange short-shorts and skin tight T-shirts. 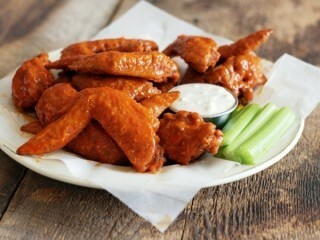 Today there are over 375 Hooters across the United States serving more than 200 tons of chicken wings every week. The original dish can be ordered in 10-, 20-, or 50-piece servings; or if you want to splurge, there's the "Gourmet Chicken Wing Dinner" featuring 20 wings and a bottle of Dom Perignon champagne, for only $125. To further enhance the Hooters experience when you serve these messy wings, throw a whole roll of paper towels on the table, rather than napkins, as they do in the restaurants. When sales of this once limited-offering sandwich exceeded expectations, Wendy's made it a permanent menu item. 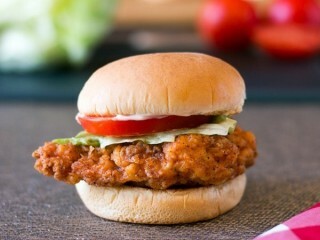 Now you can re-create the spicy kick of the original with a secret blend of spices in the chicken's crispy coating. Follow the same stacking order as the original, and you will make four sandwich clones here at a fraction of the cost of the real thing. Source: Even More Top Secret Recipes by Todd Wilbur. It's not served every day at Carrabba's Italian Grill, but when this amazing soup is on the menu consider yourself lucky and snag a bowl. 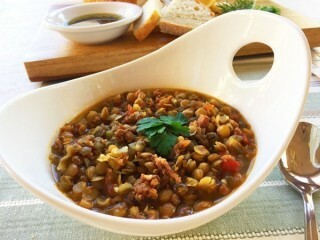 It's chock-full of lentils and other good bits of vegetables and herbs, plus there are big chunks of spicy Italian sausage in every bite. Best of all, Carrabba's sausage and lentil soup recipe is a cinch to clone. Most of the work here is just chopping stuff up, including a small ham steak which you can find where the bacon is sold in your market. If you can't find a ham steak, you can slice up some deli ham. Get everything in a pot and let it simmer. In 1 hour you'll have enough hot, chunky soup for at least a dozen cup-size servings. Also enjoy our Carrabba's chicken marsala recipe. The entire process for making this soup which Islands serves in "bottomless bowls" takes as long as 3 hours, but don't let that discourage you. Most of that time is spent waiting for the chicken to roast (up to 90 minutes -- although you can save time by using a precooked chicken, see Tidbits) and letting the soup simmer (1 hour). The actual work involved is minimal -- most of your time is spent chopping the vegetable ingredients. This recipe produces soup with an awesome flavor and texture since you'll be making fresh chicken stock from the carcass of the roasted chicken. 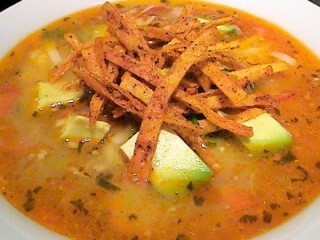 As for the fried tortilla strip garnish that tops the soup, you can go the hard way or the easy way on that step. 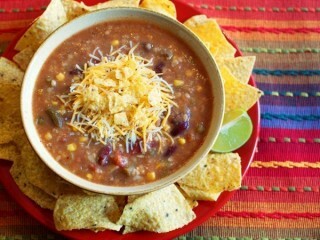 The hard way makes the very best Islands tortilla soup recipe and it's really not that hard: Simply slice corn tortillas into strips, fry the strips real quick, then toss the fried strips with a custom seasoning blend. The easy way is to grab a bag of the new habanero-flavored Doritos, which happen to be similar in spiciness to the strips used at the restaurant. Simply crumble a few of these chips over the top of your bowl of soup, and dive in. 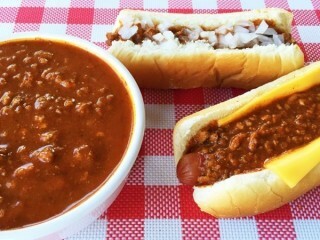 Dave Thomas, Wendy's late founder, started serving this chili in 1969, the year the first Wendy's opened its doors. 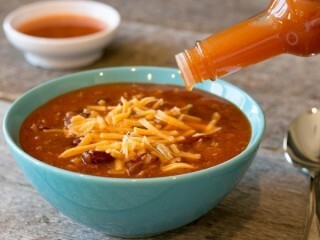 Over the years the recipe has changed a bit, but this Wendy's copycat chili recipe is a great version of the one served in the early 90s. 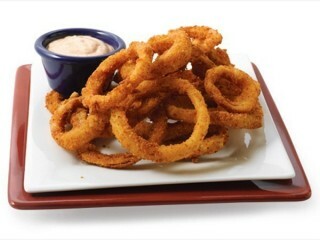 Try topping it with some chopped onion and Cheddar cheese, just as you can request in the restaurant. Source: Top Secret Recipes by Todd Wilbur. Menu Description: "A house specialty full of baked potatoes and topped with Cheddar cheese, bacon and green onions." The thick-and-creamy texture and rich taste of Tony Roma's best-selling soup is duplicated with a little flour, some half-and-half, and most notably, instant mashed potatoes. Give yourself an hour to bake the potatoes and around 30 minutes to prepare the soup. 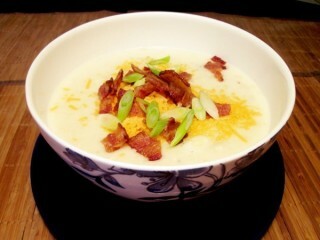 Garnish each serving with shredded cheese, crumbled bacon and green onions, and then humbly await your due praise. 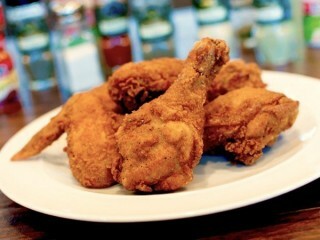 Menu Description: "Breaded boneless chicken breast is delicately spiced and covered in a spicy-sweet orange glaze. Served in a big bowl over almond rice pilaf and a flavorful mixture of mushrooms, broccoli, red pepper, sugar snap peas and shredded carrots. 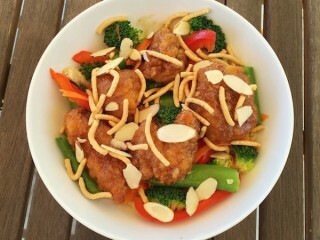 Topped with toasted almonds and crispy noodles." In a dish like this it's important to get the sauce tasting just right or the whole hack will be off. Simmering a secret blend of orange juice, brown sugar, marmalade and few other ingredients will give you a sauce that's sweet, tangy, spicy and really, really freakin' good. Rather than going to the trouble of breading and frying the chicken from scratch, I've cut time off your prep by including frozen breaded chicken fingers that you simply bake in the oven when you're ready to assemble the dish. I used Claim Jumper brand chicken tenderloins for this recipe, since one 20-ounce box was perfect for the two servings this recipe yields. However, these are mongo-huge restaurant-size portions, so you'll be able to divide this recipe up into four more modest servings if you like. The real version of this chili sauce comes to each Wienerschnitzel unit as concentrated brown goo in big 6-pound, 12-ounce cans. After adding 64 ounces of water and 15 chopped hamburger patties the stuff is transformed into the familiar thick and spicy chili sauce dolloped over hot dogs and French fries at America's largest hot dog chain. The proper proportion of spices, tomato paste, and meat is crucial; but the real challenge in hacking this recipe is finding a common grocery store equivalent for modified food starch that's used in the real chili sauce as a thickener. After a couple days in the underground lab with Starbucks lattes on intravenous drip, I came out, squinting at the bright sunshine, with a solution to the chili conundrum. This secret combination of cornstarch and Wondra flour and plenty of salt and chili powder makes a chili sauce that says nothing but "Wienerschnitzel" all over it. Exclusive signed copy. America's best copycat recipes! Save money and amaze your friends with all-new culinary carbon copies from the Clone Recipe King! For more than 20 years, Todd Wilbur has been obsessed with reverse-engineering famous foods. Using every day ingredients to replicate signature restaurant dishes at home, Todd shares his delectible discoveries with readers everywhere. 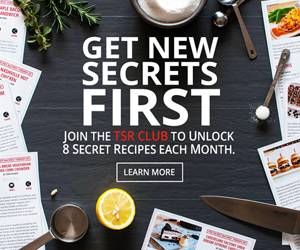 Now, his super-sleuthing taste buds are back to work in the third installment of his mega-bestselling Top Secret Restaurant Recipes series, with 150 sensational new recipes that unlock the delicious formulas for re-creating your favorite dishes from America's most popular restaurant chains. 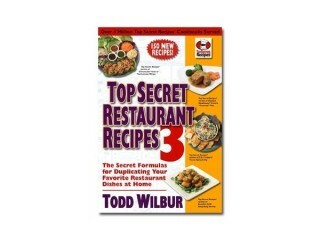 Todd's top secret blueprints and simple step-by-step instructions guarantee great success for even novice cooks. And when preparing these amazing taste-alike dishes at home, you'll be paying up to 75 percent less than eating out! Simple. Foolproof. Easy to Prepare. And so delicious you'll swear it's the real thing! Click on the "Table of Contents" link, underneath the book graphic on the left to see the full list of recipes included in this cookbook. 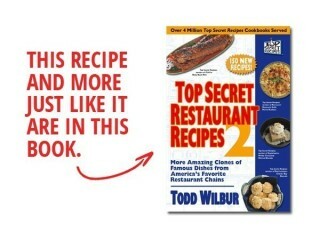 You may also like: Top Secret Restaurant Recipes 2, and Top Secret Recipes Step-by-Step. You're grilling some steaks or baking some chicken and don't know what to serve on the side? Try out this simple clone for a dish that's served along with several of Applebee's entrees. Since the recipe requires converted rice because instant rice is gross, you have to plan ahead about 25 minutes to give the rice time to cook. It's worth the wait. The secret to an authentic, great-tasting rice pilaf is sauteing the uncooked rice kernels in butter first, before adding the liquid—in this case chicken broth. Then, as the rice is cooking, you have plenty of time to saute the almonds, celery, and onions that are tossed into the rice at the end. Before he became America's sausage king, Jimmy Dean was known for crooning the country hit "Big Bad John." That song came out in 1962 and sold more than 8 million copies. His singing success launched a television career on ABC with The Jimmy Dean Show, where Roy Clark, Patsy Cline, and Roger Miller got their big breaks. The TV exposure led to acting roles for Jimmy, as a regular on Daniel Boone, and in feature films, including his debut in the James Bond flick Diamonds are Forever. Realizing that steady income from an acting and singing career can be undependable, Jimmy invested his show-biz money in a hog farm. In 1968 the Jimmy Dean Meat Company developed the special recipe for sausage that has now become a household name. Today the company is part of the Sara Lee Corporation, and Jimmy retired as company spokeman in 2004. This clone recipe re-creates three varieties of the famous roll sausage that you form into patties and cook in a skillet. Use ground pork found at the supermarket—make it lean pork if you like—or grind some up yourself if you have a meat grinder. Menu Description: "Quickly-cooked spiced chicken served with cool lettuce cups." Throw in a few initials with a little twist on the last part, and you have the name of Paul Fleming and Philip Chiang's Chinese bistro creation, P.F. Chang's. Since the first location opened in Scottsdale, Arizona in 1993, over 124 new ones have sprouted up across the country -- in more than 33 states. No matter the location, it's this dish that gets first raves. Like the very-dead McDonald's McD.L.T. hamburger, which disappeared around the time the first P.F. Chang's opened, the contrasting textures of the cool crispy lettuce and the hot meat filling come together in your mouth for a tasty oral dance party. According to waiters, those little dark bits in the chicken filling mix are "black mushrooms," and there's a good chance your local supermarket doesn't stock them. But a great alternative can be found for this P.F. Chang's lettuce wraps copycat recipe in the Asian food section -- canned straw mushrooms. Just remember to chop the chicken, water chestnuts and mushrooms up real good for the final saute. Slip this filling into a lettuce cup, fold it up like a taco, add a little "special sauce," get down tonight. Source: "Top Secret Restaurant Recipes 2" by Todd Wilbur. This cheesy little number is one of the most popular side salad choices at America's favorite steakhouse chain. Cinnamon Pecans and fried angel hair pasta are tossed with salad greens and a delicious sweet and sour bleu cheese vinaigrette. The crunchy angel hair pasta pieces are made by first boiling 24 sticks of uncooked pasta for half of the usual cooking time. When the pasta is cool, fry it in a bit of oil until light brown and crispy. The cinnamon pecans are easily candied in a small saucepan with a few basic ingredients. The recipe here makes two large salad servings, which will require only half of the dressing. This way, if you want to serve more salads you can easily double up on the other ingredients, and you'll have just the right amount of dressing for a couple more servings. Menu Description: "Chicken breast tenderloins sauteed with bell peppers, roasted garlic and onions in a garlic cream sauce over angel hair." This dish is a big favorite of Olive Garden regulars. Chicken tenderloins are lightly breaded and sauteed along with colorful bell peppers and chopped red onion. Angel hair pasta is tossed into the pan along with a healthy dose of fresh scampi sauce. If you're cooking for two, you can prepare this dish for the table in one large skillet, saving the remaining ingredients for another meal. If you're making all four servings at once, you need two skillets. If you can't find fresh chicken tenderloins (the tender part of the chicken breast), you can usually find bags of them in the freezer section. I've never met a macaroni & cheese I didn't like. But there are a few restaurants that push this common side dish to a higher level. I've had mac & cheese made with three or four cheeses, and some that come drizzled with truffle oil. I've had mac & cheese with green pepper in it, and onion, and parsley, and bacon—it all works for me. But at Fleming's Prime Steakhouse, it's about the chipotle. The smoky jalapeno flavor sets this one apart from others, and makes this one of the top side dishes at the upscale steakhouse chain. For our clone, we'll start with a cheese sauce made with smoked cheddar. There's some minced jalapeno and green onion in there, plus a little ground chipotle pepper. A nice finishing touch comes from the breadcrumb topping that's made with Japanese breadcrumbs, or panko, which is flavored with more ground chipotle. The pasta shape used at Fleming's is called cellentani, which looks like long corkscrews. You could also use cavatappi pasta which are shorter corkscrews, or just go for the traditional elbow macaroni which can found pretty much anywhere. The talented chefs at Benihana cook food on hibachi grills with flair and charisma, treating the preparation like a tiny stage show. They juggle salt and pepper shakers, trim food with lightening speed, and flip the shrimp and mushrooms perfectly onto serving plates or into their tall chef's hat. 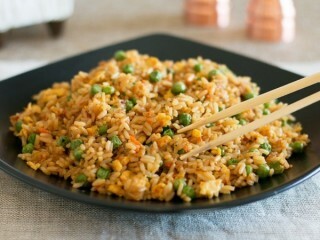 One of the side dishes that everyone seems to love is the fried rice. At Benihana this dish is prepared by chefs with precooked rice on open hibachi grills, and is ordered a la cart to complement any Benihana entree, including Hibachi Steak and Chicken. I like when the rice is thrown onto the hot hibachi grill and seems to come alive as it sizzles and dances around like a bunch of little jumping beans. Okay, so I'm easily amused. This version of that popular side dish will go well with just about any Japanese entree and can be partially prepared ahead of time, and kept in the refrigerator until the rest of the meal is close to done. Menu Description: "It takes half a day to make this perfect combination of onion, celery, carrot and garlic." 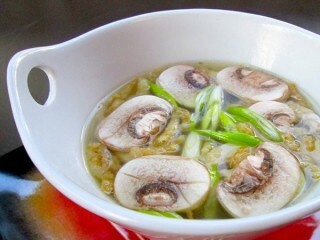 Before a skilled chef appears tableside to perform his culinary prestidigitation on the hot hibachi grill at Benihana, you're treated to a tasty bowl of chicken broth-based soup with fried onions, sliced mushrooms and green onions floating cheerfully on top. The restaurant menu claims this soup takes a half a day to make, but we can clone it in a fraction of that time using canned chicken broth (I use Swanson brand). This soup works great as a prelude to your favorite Asian dishes or other Benihana clones since it's so light and won't fill up anyone before the main course. I've included a simple technique here for making the breaded fried onions from scratch (for the most accurate clone), but you can skip that step by substituting French's canned French Fried Onions that are sold in most markets. 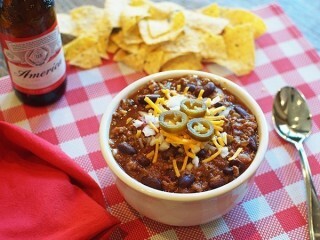 Menu Description: "Meaty and spicy, served piping-hot with chopped onions, shredded cheddar, and a whole jalapeño." When you're craving a big hot bowl of hearty chili to warm the bones and fill your belly make one that has become a classic. This hack of the Lone Star signature is easy-to-make, low in fat, and delicious. And if it's super brisk outside, you might want to add an additional tablespoon of diced jalapeño to the pot to aggressively stoke some internal flames. This super simple salsa can be made in a pinch with a can of diced tomatoes, some canned jalapenos, fresh lime juice, onion, spices and a food processor or blender. Plus you can easily double the recipe by sending in a larger 28-ounce can of diced tomatoes, and simply doubling up on all the other ingredients. 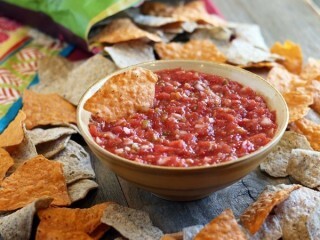 Use this versatile salsa as a dip for tortilla chips or plop it down onto any dish that needs flavor assistance—from eggs to taco salads to wraps to fish. You can adjust the heat level to suit your taste by tweaking the amount of canned jalapenos in the mix. Menu Description: "12 oz. 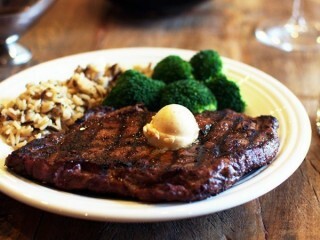 ribeye steak seasoned with Cajun spices and topped with roasted herb jus and spicy Cajun butter." Three secret formulas must be hacked before we can consider this dish a complete culinary carbon copy of Chili's signature Cajun Ribeye. The Cajun seasoning, the herb jus and the Cajun butter comprise the flavorful hat trick that earns this dish its signature-item status. We'll make each component from scratch and everything is pretty easy. Sprinkle the seasoning on the steak before it's grilled, and then add the jus and herb butter just before serving. That's it. Rustle up some ribeyes from your favorite butcher, and fire up the grill. Once you've assembled these three simple secret recipes below, you're just minutes away from an impressive, flavor-filled steak. In early 1985, restaurateur Rich Komen felt there was a specialty niche in convenience-food service just waiting to be filled. His idea was to create an efficient outlet that could serve freshly made cinnamon rolls in shopping malls throughout the country. It took nine months for Komen and his staff to develop a cinnamon roll recipe he knew customers would consider the "freshest, gooiest, and most mouthwatering cinnamon roll ever tasted." The concept was tested for the first time in Seattle's Sea-Tac mall later that year, with workers mixing, proofing, rolling, and baking the rolls in full view of customers. 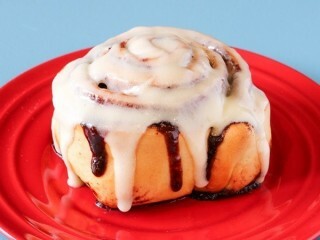 Now, more than 626 outlets later, Cinnabon has become the fastest-growing cinnamon roll bakery in the world. Since 1952, when Colonel Harland Sanders opened his first franchise, only a select few have been privy to the secret "herbs and spices" contained in the billion-dollar blend. To protect the top-secret recipe, the company claims, portions of the secret blend are premixed at two confidential spice companies and then distributed to KFCs offices, where they are combined. In 1983, in his book Big Secrets, author William Poundstone hired a laboratory to analyze a dry sampling of the spice mixture. The surprising discovery was that instead of identifying "eleven herbs and spices," the analysis showed only four ingredients: flour, salt, pepper, and monosodium glutamate, a flavor enhancer. The cooking procedure is believed to be the other half of the secret. Colonel Sanders became famous for using a pressure cooker shortly after its invention in 1939. He discovered that hungry travelers greatly appreciated the ten-minute pressure-cooking process compared to the half hour it used to take for frying chicken, and the new process made the chicken juicy and moist inside. KFC is the third-largest fast-food chain in the country, and uses around 500 million chickens every year. 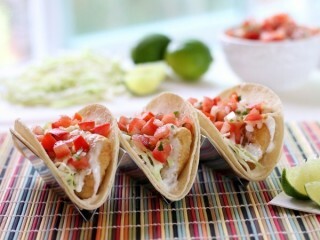 The number two Mexican fast food chain nicely duplicates the delicious fish tacos you'd find in coastal towns south of the border: two corn tortillas wrapped around a fried halibut fillet that's topped with cabbage, fresh salsa, and a creamy "secret sauce." It's practically impossible to eat just one—they're that good. And, thanks to the availability of breaded frozen fish sticks in just about every market, a home clone is stupidly simple. If you can't find crispy halibut sticks in your local store, the more common breaded pollock will work just fine here. You can also use frozen fish portions that are grilled if you're not into the breaded (fried) stuff. The real recipe at Del Taco comes with two thin corn tortillas, but sometimes the only available corn tortillas in consumer markets are the thicker ones. If that's the case, you'll need just one per taco. Just 15 minutes after the very first Cheesecake Factory opened in Beverly Hills back in 1978, the lines began forming. 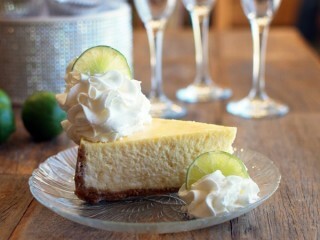 Here's their cheesecake twist on the delicious Key lime pie. Since Key limes and Key lime juice can be hard to find, this recipe uses standard lime juice which can be purchased bottled or squeezed fresh. If you can find Key lime juice, bear in mind that Key limes are more tart, so you'll need only half as much juice. This recipe also requires a springform pan. If you don't have one, you can use two 9-inch pie pans and make two smaller cheesecakes. 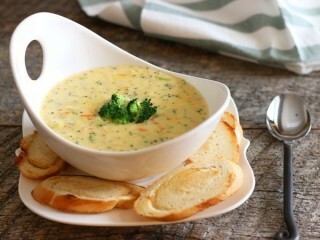 The easy-melting, individually-wrapped Kraft Cheddar Singles are a perfect secret ingredient for this Panera Bread broccoli cheddar soup recipe that's served at this top soup stop. In this clone, fresh broccoli is first steamed, then diced into little bits before you combine it with chicken broth, half-and-half, shredded carrot, and onion. Now you're just 30 minutes away from soup spoon go-time. If you like soup that's packed with veggies, that's low in fat, and has some Southwestern punch to it, this is the soup for you. Just toss all the ingredients in a pot and simmer. 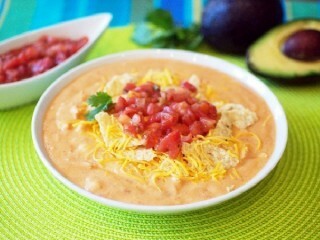 Garnish with some shredded cheese and crumbled tortillas, and warm up your insides.